A year after Daniel Suarez became the first Mexican driver to compete full time in NASCAR’s top series, Darrell Wallace Jr. will be the first black driver to do so since 1971 next season. He’ll replace Aric Almirola, who’s raced for Richard Petty Motorsports for the past six years, in the No. 43 car. This move has been somewhat expected—rumored, if you prefer—for a while, and Almirola is rumored to go to Stewart-Haas Racing next year. 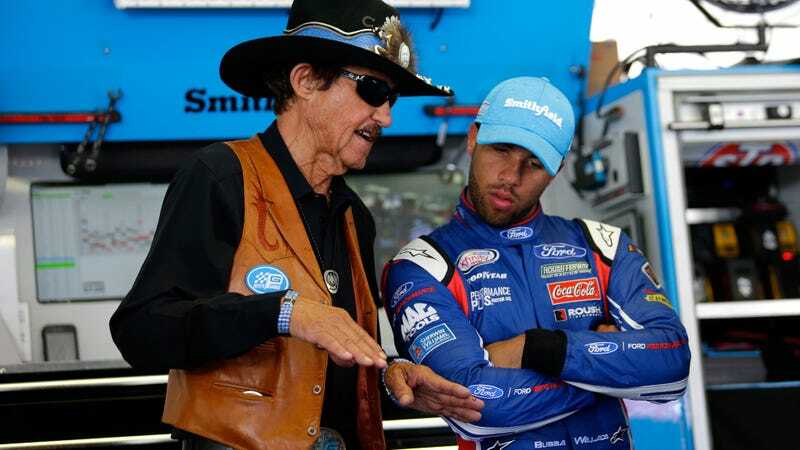 Richard Petty Motorsports is a just one-car team these days under NASCAR champion Richard Petty. Wallace raced the No. 43 in the Monster Energy NASCAR Cup Series four times this year while Almirola was out with a fractured back, which sustained got in a hard wreck at Kansas Speedway in May. Wallace didn’t have other top-level racing commitments at the time, as his full-time NASCAR Xfinity Series ride shut down from a lack of funding. Wallace made his first Cup Series start in that replacement stint for Almirola, with his best finish of the four races he ran for Richard Petty Motorsports being 11th. The Guardian reports that those races made him the first black driver to compete at the top level of NASCAR since 2006, and just the fourth ever. NASCAR itself has had some trouble over the years with diversity, both with audiences and its drivers. Willy T. Ribbs and Bill Lester ran various Cup Series races during their careers, and the most recent black athlete to compete regularly in the Cup Series was Wendell Scott in the 1960s and ‘70s. Scott never competed in every race during a season, but the last Cup Series season he competed regularly in was in 1971. Petty himself said recently he’d fire anyone who didn’t stand for the national anthem—a wide, ongoing protest against police brutality and oppression of people of color. But Petty said in a team press release that Wallace’s records during his career “speak for themselves,” and that he’ll be able to compete in the sport’s top level immediately.